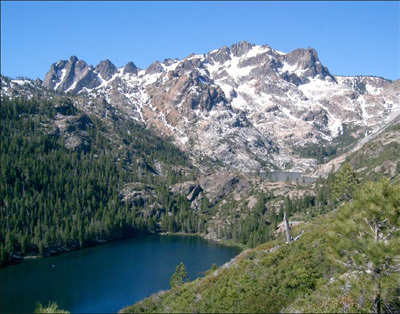 Nancy Wagner’s parents stumbled upon the Sierra Buttes and Lakes Basin in Sierra County in 1950 when car trouble stranded them in Sierra City for a few days. So began a family tradition of vacations in the Lakes Basin—one that continues to this day and promises to be passed on to future generations. The Sardine Lakes capture the snowmelt from the Sierra Buttes.Photo by John Wagner. Although there were some bumps along the way, the purchase of the property was finally closed, a feat Nancy credits to John’s patience and persistence. 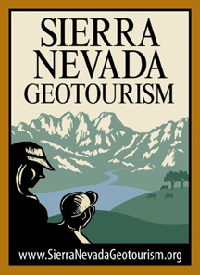 Immediately, the Wagners turned their attention to selling the property to the fledgling Sierra County Land Trust (SCLT). Funding was secured through a state grant. Nancy describes the process as “a kick, an honor, a real pleasure. The process was smooth; the Land Trust staff was very nice to work with. It was a true win-win.” Due to the Wagner’s and SCLT’s efforts, for years to come the public may share Nancy’s childhood experience of hiking around the western shore of Upper Sardine Lake to swim and marvel at the mountain and the sparkling blue water.